Tori Moore was flung to the limelight following her marriage to NFL quarterback Nick Foles. While there is information readily available about the Philadelphia Eagles’ hero Nick, not much is known about the woman behind his smiles. More than being just a couple, it also uncommon knowledge that Tori and Nick share a lot in common. Find out lesser-known facts about the former athlete and celebrity spouse who values family above all else. A California native, Victoria Danielle Moore, better known as ‘Tori’ was born on June 6, 1990. She is the youngest of three children born to parents Rosina (nee. Cota) and Daniel Moore. Just like her husband, Tori always had athletic inclinations from an early age. Moore was raised in her hometown and attended Brea Olinda High School where she played volleyball. She later became team captain and was named MVP in her sophomore year. 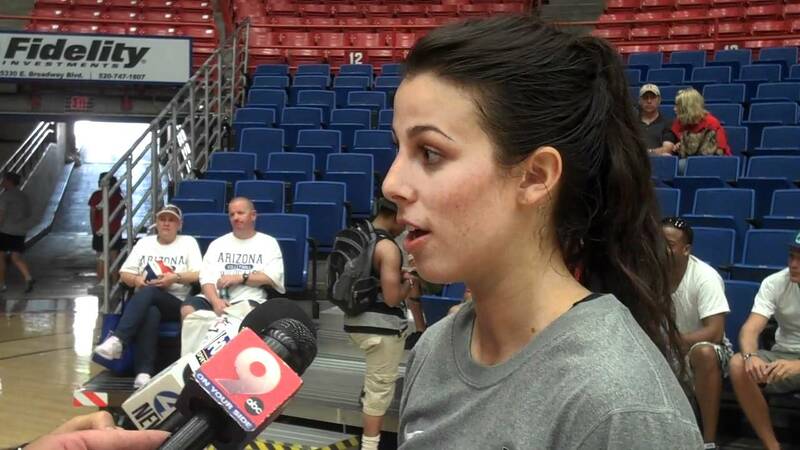 Tori continued with her stellar performance on the court to college where she also joined the school’s volleyball team at the University of Arizona. After college, Tori worked as a digital marketer for popular sports brand Nike in Beaverton, Oregon, but eventually left after she was diagnosed with Postural Orthostatic Tachycardia Syndrome, that resulted in Lyme Disease. Tori Moore’s better half is Philadelphia Eagles’ hero, Nick Foles. The couple who met in college has an interesting love story. In fact, Moore and Foles first crossed paths on the footballer’s first day at Arizona. According to Foles, he spotted his future wife on his way to football practice. Astonished by Tori’s look, Nick believed she was the most gorgeous person he had ever seen at the time. The couple’s journey to forever together was a gradual process as they first became friends and remained so until after college. Having shared so much in common especially their love for sports, the pair later took their relationship to the next level. 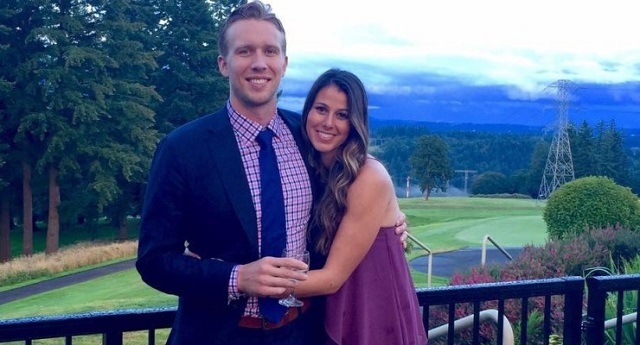 Convinced that Foles was the man she wanted to spend the rest of her life with, Moore said YES when the Eagles’ star popped the big question in February 2014 and they walked down the aisle in a low-key ceremony in April that same year. The couple welcomed their first child, a daughter named Lily James Foles on June 16, 2017. Tori and Nick love being parents as revealed by Foles after Lily was born. According to the NFL star, their daughter’s birth was the most amazing moment of his life adding that fatherhood is the coolest feeling in the world. The couple’s relationship hasn’t been without its own challenges. After Tori’s long battle with Lyme disease and Postural Orthostatic Tachycardia Syndrome (POTS), the Eagles quarterback disclosed that it was a tough period for their family but an experience that brought them closer. Foles who adores his wife hailed Tori for her bravery with POTS and further dedicated a chapter of his new book to her battle with the disease. Tori Moore has two older brothers. Besides being an athlete and a wife to a famous athlete, Tori also has sportsmen in her family. Her brother was a basketballer who had a prolific college career at UC Davis while her brother Evan is Tori’s other connection to football. Evans played the sport first at Stanford, then later with the Green Bay Packers. He also played with the Browns, Seahawks and the Philadelphia Eagles. As earlier mentioned, Tori Moore suffered a long battle with Lyme disease and Postural Orthostatic Tachycardia Syndrome, (POTS), right after college. Many were not aware of Tori’s health issues until after the Eagles’ unexpected 2018 Super Bowl run where her quarterback husband won the Super Bowl MVP. After the season, Tori and Nick used various platforms to raise awareness for those battling with POTS disease. The Foles prefer to live a low-key lifestyle. Our investigations reveal that Eagles quarterback Nick is absent on popular social media sites but Tori has an active Twitter and Instagram account that is, however, set on private mode. On Instagram, Tori is generous enough to share some precious family photos with fans as well as healthy recipes for those struggling with POTS. In addition to raising awareness about her health challenges at conferences and seminars, Tori has also shared her POTS story and encouraged people of similar health status on her Instagram account. Tori Moore values family above all else and her favourite leisure activities are spending time with her family, reading, shopping watching TV, eating, and sleeping.